Worthy of mention is a series of coloured slides by Bruce Crook, which include the Wiri area during the early 1970s. 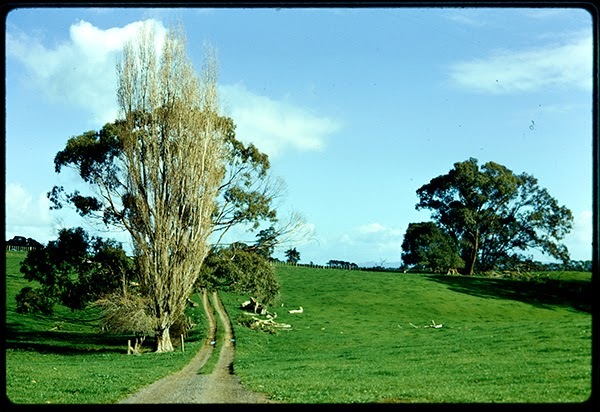 Many of these images show the rural landscapes which became Manukau City as we know it today. 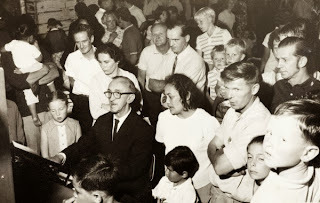 For example, the image below was taken on 25 September 1971. It looks along a farm track near the Great South Road, Wiri and is now the Manukau City Centre. Some other slides in this series are stylistic and striking, depicting the mood of the time of day and season. Such as frost and mist in the morning and the changing colour of the sky during dusk. Other images by Bruce Crook include shots of the Southern Motorway in 1971, Manurewa, Otara, Ardmore, Homai and East Tamaki. Another group of interesting photos are the coloured aerial photographs taken by David Brooke-Taylor. He was commissioned by Wilsons Realty Ltd Papatoetoe during the summer of 1987-88 to photograph in Papatoetoe, Otahuhu, Mt Wellington, Panmure, Mangere and surrounding areas. The names of the roads and streets have been hand-written on the images - some which have been incorrectly labelled. This has been corrected in the accompanying blurb. Looking back through the collection, the photographs show how much some of the areas have changed, for example the grounds of the Mangere Hospital and Training School. The hospital closed in the early 1990s, and construction of a 350-site housing subdivision and sports ground began there in 1993. 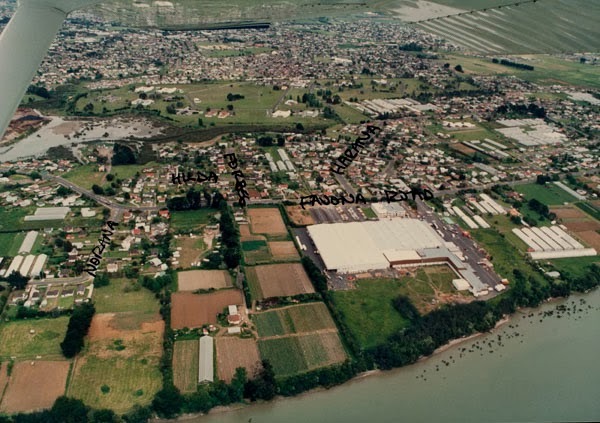 The photograph above shows part of the Favona area of Mangere about 1987. The view looks southward across Favona Road and scattered mangroves can be seen along the shoreline of the Mangere Inlet in the foreground. The streets shown include Norana Avenue, Forbes Road, Hilda Road and Harania Road. 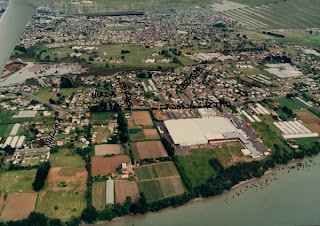 The grounds of the Mangere Hospital and Training School can also be seen lying beyond the upper tidal reaches of the Harania Creek and the glasshouses at the far centre right. Common features in some of these images are the huge glasshouses mostly used for growing tomatoes. Many of these have disappeared throughout South Auckland, making way for the booming demand for new housing.